Twenty-seven years ago tomorrow on January 22, 1992, STS-42 carried the first International Microgravity Laboratory [IML-1], dozens of experiments, and seven space shuttle crew members into orbit. Over 200 scientists from 13 countries contributed to the crew’s onboard research tasks in the physical and life sciences. In the shuttle Discovery’s payload bay, the crew worked in two 12-hour shifts to run IML-1 science every hour of the day. Some experiments studied the growth patterns of plants, their mechanisms for sensing gravity and light within a microgravity environment. Others attempted to assess the effects of ionized-particle radiation on development of biological systems. Plants were located in plant cubes of various constructions to allow different forms of light to enter and to facilitate different sampling access. Around-the-clock physiology studies examined some of the adaptations to microgravity exhibited in the human nervous system as well as microgravity effects on other life forms that included shrimp eggs and bacteria. There were experiments on the heating of fluids and the processing of various substances to produce crystal growth without gravity. One of IML-1’s international astronauts, Canadian physician and neuro-ophthalmologist Dr. Roberta Lynn Bondar, became the world’s first neurologist in space. As a payload specialist, she helped conduct research into microgravity effects on blood flow in the brain and human orientation. IML-1 contributed to a distinguished microgravity legacy. It continued the testing of modular laboratory hardware, instrumentation, and stowage with direct implementation in equipping a successful international space station. It confirmed international commitment to cooperative ventures. Science results from the flight produced dozens of peer-reviewed articles, lectures, and applications. The crew demonstrated how to conduct science in a challenging environment on which future space scientists could build. 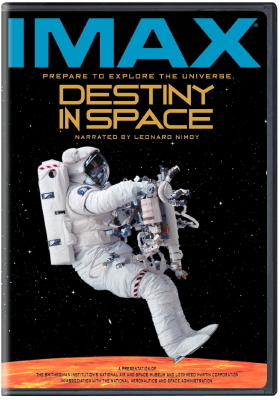 This mission is featured in the IMAX® movie Destiny in Space. The IML-1 left its personal imprint on its crew. As an example, like other astronauts on their space shuttle flights, Bondar was struck by the on-orbit views of Earth without political borders and swaths of country without any sign of humankind. Inspired by her views of Earth from space, Bondar determined to help others on the planet try to experience some of those moments upon her return. One of these initiatives is the mandate of The Roberta Bondar Foundation. Apart from her continued service in science and medicine, she carries her deepest IML-1 stimulus into recording massive, dramatic images of Earth’s geographic features from explorations she makes to some of Earth’s extreme ecosystems. This entry was posted in On This Day and tagged First International Microgravity Laboratory, IML-1, January 22, On This Day, STS-42, The Roberta Bondar Foundation. Bookmark the permalink.